Here's something I thought I would share with you this week - it's a video I did for class nine at Dunmore Primary School in Oxfordshire. 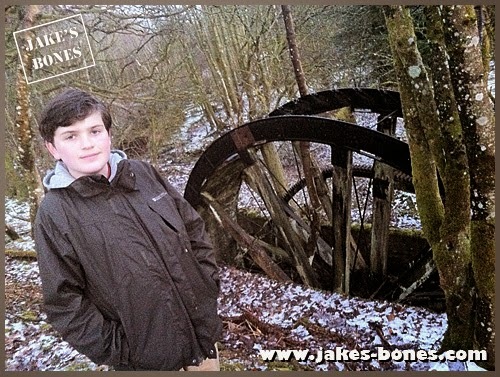 Their student teacher, Mrs Long (whose son also has a nature blog), sent me an email asking if I could send them a message to inspire them as they were beginning a week of learning about bones and would be using my book as a guide. 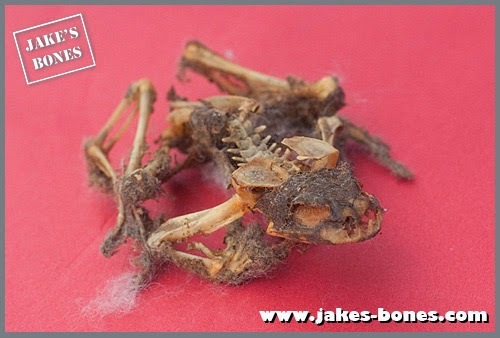 If you're a teacher and your class will be studying bones, and you'd like something like this, then send me an email and I'll try to help out. I can't promise anything, because the videos take a while to film and edit, but I will try and do something. Here's the other video which gave the answer to the skull puzzle ! Imagine walking through the woods on a bright spring morning, the trees silent, except from the tweeting of birds. Then you get the strange feeling that you are being followed, stalked even. Then you catch glimpse of an orange body, and see the tell-tale tufts on the ears. You know what it is- but it a predator that has been extinct in the UK for 1300 years ! This could happen soon. The Lynx UK Trust is suggesting a scheme that is trying to get lynx re-introduced in to Scotland. If it is approved, they will bring four to six lynx onto each of three privately owned estates in Norfolk, Cumbria and Aberdeenshire that have loads of shelter and are rich in deer. 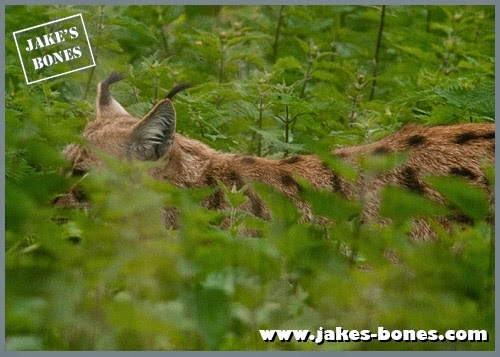 And it won't be as dangerous as you think: unlike many big cats, lynx prefer to stay well away from humans. Ever since I was young, frogs have been one of my favourite animals. and a few years ago I even had a young frog in my room for a short while to study it, which I kept in an old fish tank. You can read about that here. I've always thought that frogs are cool with the way they have adapted to jump and swim.